Mad Women, Oct . 6-12, 2012, a play that examines the perceived madness of Mary Shelley, Emily Dickinson, Charlotte Perkins Gilman and Virginia Woolf, is at the Barefaced Theatre in London. 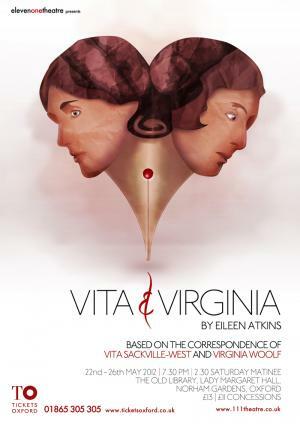 Luna Stage presents the New Jersey Premiere of ‘Vita and Virginia’ by Eileen Atkins, adapted from correspondence between Virginia Woolf and Vita Sackville-West. Directed by Jane Mandel, with previews running Sept. 27-Oct. 4 and opening night set for Oct 5. The show will play through Oct 28. A succession of great historical figures, cornerstones of English literature and the conventions of period costume drama offer a bottomless well of inspiration for sketch comedy that includes Virginia Woolf. Showtime is 7:45 p.m. Aug. 21 – 27 at Assembly Hall, Mound Place, Edinburgh, Scotland. Anne Fernald, associate professor at Fordham University and the editor of a forthcoming edition of Mrs. Dalloway for Cambridge University Press, will give the four talks on Virginia Woolf at the Brooklyn Public Library. Date: Wednesday, Aug. 22, from 3 – 5 p.m. Discussion led by Anne Fernald, associate professor at Fordham University. Date: Wednesday, Sept. 5, 3 p.m. Date: Sept. 19, 3 p.m. Date: Wednesday, Oct. 3, 3 p.m. Location: University of Saskatchewan, Saskatoon, Canada. Organized by Ann Martin. 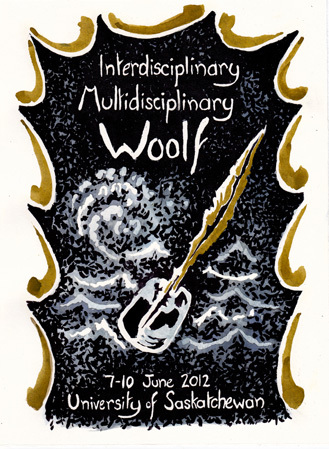 The conference theme is inspired by Woolf’s efforts to cross, undermine, and sometimes reassert disciplinary and other boundaries in her body of work. On-line registration is now available through the Registration page. An outline of the Conference Schedule is available on the Program page. If you have any questions, contact: woolf@arts.usask.ca. From William Blake to the 21st-century suburban hinterlands of J. G. Ballard, Writing Britain examines how the landscapes of Britain permeate great literary works. The exhibit includes 150 literary works that span more than 1,000 years, including Virginia Woolf’s childhood newspaper, Hyde Park Gate News. See the complete list of exhibits. 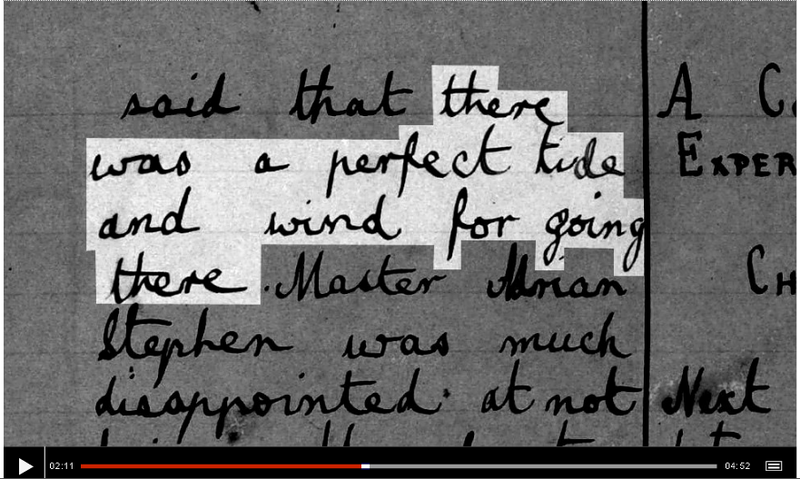 View a BBC audio slideshow that includes a discussion of Virginia Woolf’s To the Lighthouse and images, including Woolf’s entry in Hyde Park Gate News that describes her trip to Godrevy Lighthouse at St. Ives. 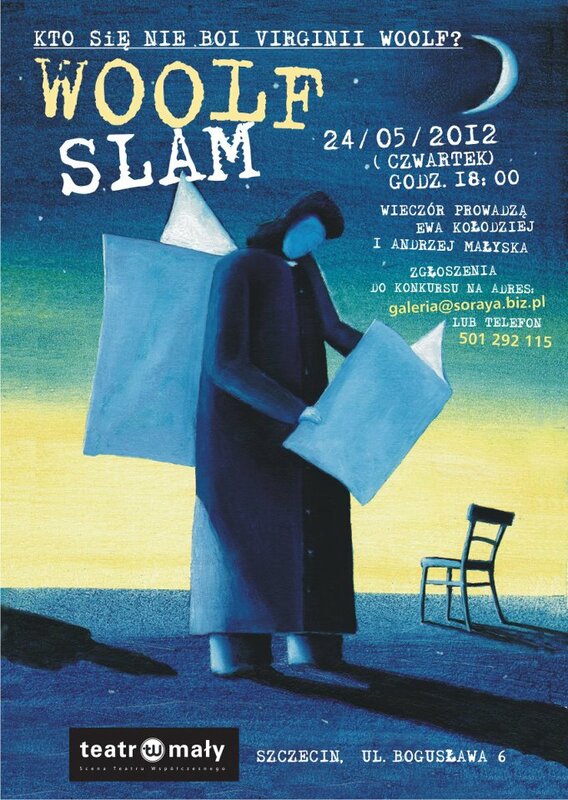 Date: May 24, 2012. 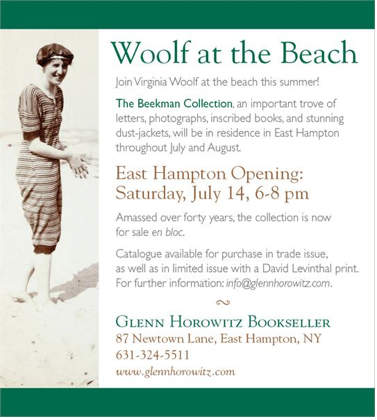 See details in graphic at right, which was posted on Virginia Woolf Facebook page by Marek Brzezinski. in person from the Oxford Playhouse. Anne Fernald will be one of several writers and public figures who will speak about favorite Virginia Woolf novel To the Lighthouse on April 24 at 7 p.m. at McNally Jackson, 52 Prince St. in New York City. From Feb. 16 to 19, the Brandeis Theater Company (BTC) will present Ordinary Mind, Ordinary Day, an original stage adaptation by theater professor Adrianne Krstansky and Abigail Killeen M.F.A. ’05 of four of Virginia Woolf’s early short stories. It follows Woolf’s characters in a quest beyond fact and reason – to the inner life beneath our days. The inaugural presentation of Theatre Ad Infinitum Canada, in association with Why Not Theatre, is the Canadian premiere of The Big Smoke, a one-woman a cappella performance by Amy Nostbakken, co-written by Nostbakken and director Nir Paldi. Inspired by the lives of Virginia Woolf, Sylvia Plath and Anne Sexton, this poetic waltz with death opens Feb. 22, 2012, and runs to March 4 at Factory Studio Theatre, with a preview on Feb. 21. Read more on The Big Smoke’s Canadian Premiere via blogTo. It’s 1923 and dashing mountaineer George Mallory pays a surprise visit to the summer home of two of Britain’s most important artists, the Bloomsbury Group painters Duncan Grant and Vanessa Bell. Based on actual events, ETERNAL EQUINOX is a sexually charged look at the emotional impact of bedroom politics. It runs March 1-31 at 59E59 Theaters.